Enzo Anghinelli was ambushed at around 8 a.m. Friday morning when two men on a scooter drove alongside his Ford Focus, aimed a gun at his head and fired six gunshots, before disappearing into the traffic. The assassins shot to kill – the gunshots shattered the driver’s window and the opposite rear window, police said. Two shots exploded in his face. 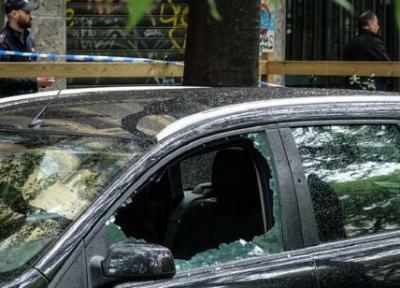 The mafia-style hit is believed to have been planned to the last detail with the perpetrators targeting Mr Anghinelli, who has prior drug convictions, in a narrow street in the Porta Romana area, where he had no means of escape. The attack occurred on the corner of Via Cadore and Via Bergamo, a densely populated residential area. Many residents heard the shots and peeked through windows. Those on the streets took cover behind other cars. Several witnesses assisted at the scene before the man, in a grave condition but still conscious, was taken to Policlinico di Milano hospital. In 2007, Mr Anghinelli was arrested along with two others in a drug trafficking investigation at clubs in Corso Como and in the entertainment world. The Caribinieri had caught him with two kilos of drugs while he was leaving a car rental office in Via Teodosio, the gang’s main base. Police are collecting testimonials, and are appealing to the public for any images captured on public or private cameras, to assist with the investigation.